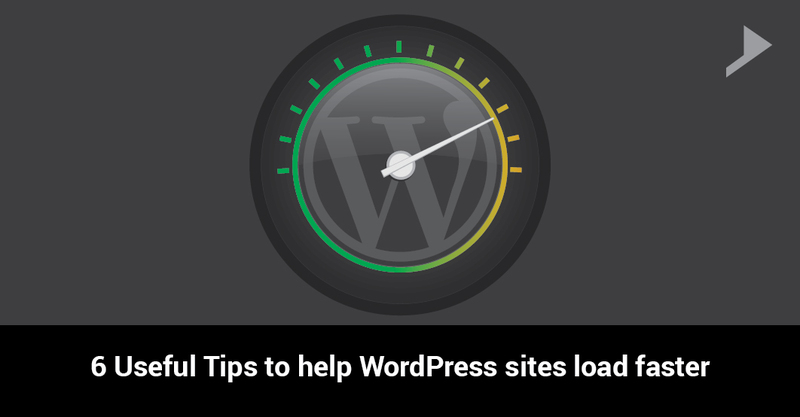 Home / WordPress / 6 Useful Tips to help WordPress sites load faster. While choosing the best WordPress hosting, we should remember about the main thing that is Speed (Performance), and reliability of support.Speed and reliability are extremely important. Suppose a site is frequently down,visitors may lose their temper and go forward for another site.Visitors will get frustrated if they do not get their needed sites soon. The slow access will be very frustrating for the visitors. Images are the largest part of the web content. It is very important for the web developers to make a hostile control of their image sizes and quality in order to make the website load faster. We can compress images in right format at the lowest acceptable quality level. There are two main phases of image compressor a lossy phase, and lossless phase. Lossless phase compression is the main backbone of image compression. Here the image quality remains identical to the source images. On the other hand, lossy phase doesn’t give you back exactly what you have put in, but instead returns an approximation of it. PNG images comes under Lossless phase compression as well as they support various combination of color depth transparency and color correction. So using different types of images can resolve the issue to some extent. This will help to measure the performance of a page for Desktop devices and Mobile devices which is one of the simpler ways to check the webpage speed of the website. While entering the page URL we can discover the page speed score. The Page Speed Score ranges from 0 to 100 points. A higher of 85 or above shows that the page is performing great. Almost all the WordPress plugins are truly helpful yet a portion of the best fall under the caching category, will enhance page loading time. The most common but extremely easy to install and use, cache plugin is “W3 Total cache”. It enhances the user experience of your webpage by increasing server performance, decreasing the downloading time and providing transparent content delivery network (CDN) integration. It is better to use excerpt of contents in home page as well as blog pages. Suppose if you have 5 to 10 posts on the same page and it is displayed in full contents, it will take more time to load the page for showing in full text mode so it will be very inconvenient for the users. There is a plugin called “Free-CDN” that promises to do the same. As you know, there are many things you can do to improve the performance of your web pages. Some might be simple, while others can be time-consuming. Though, implementing these are very important. Because if your pages don´t load fast enough visitors may tend to bounce back to another site and you will loose your customers.